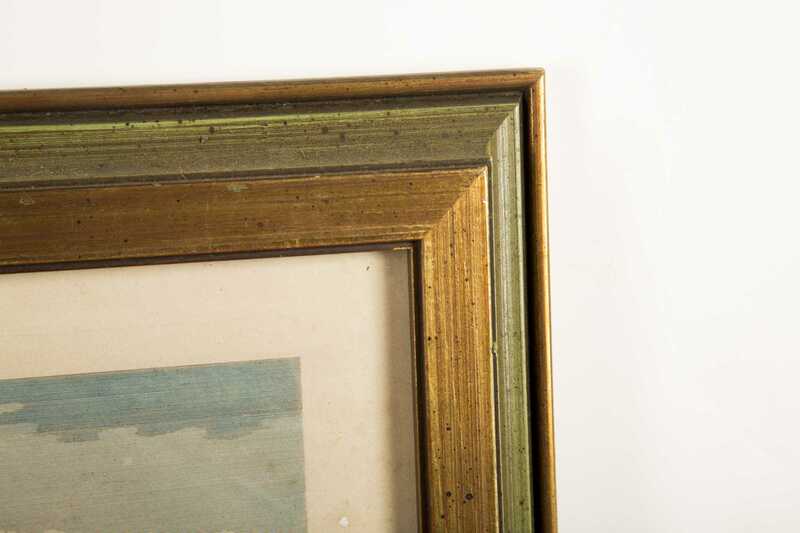 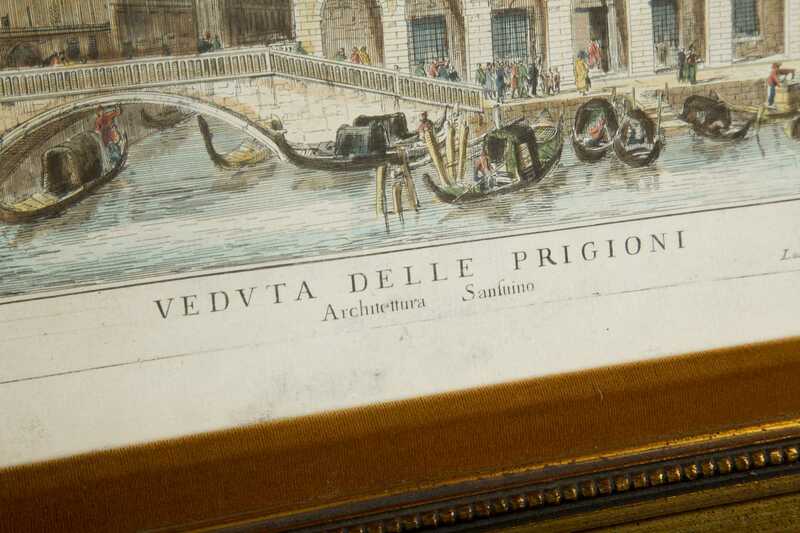 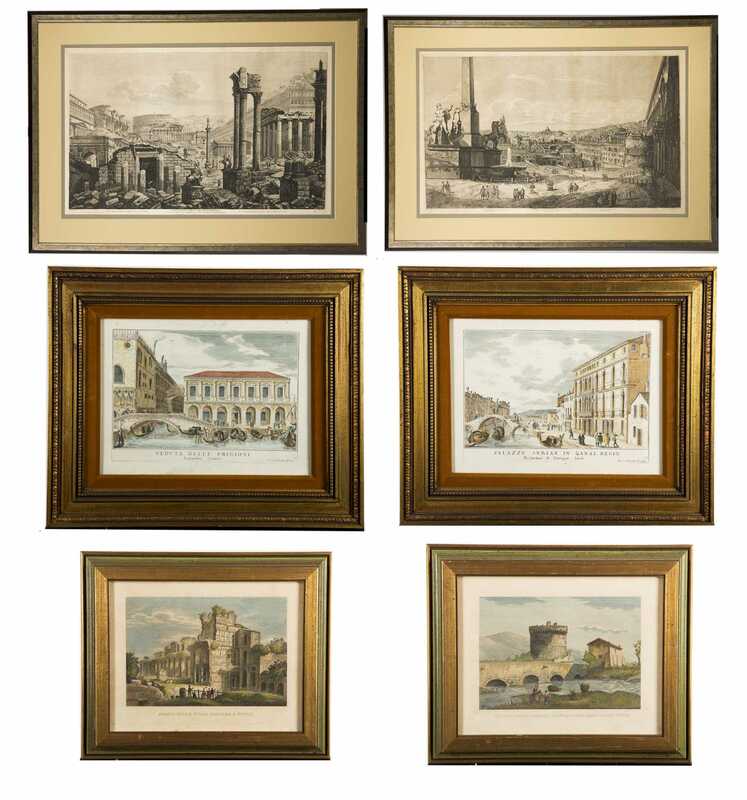 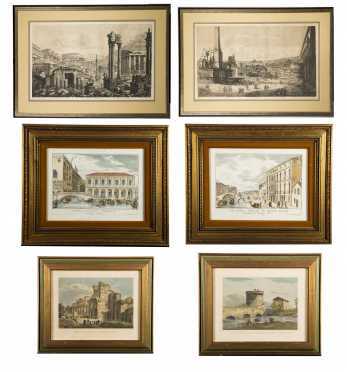 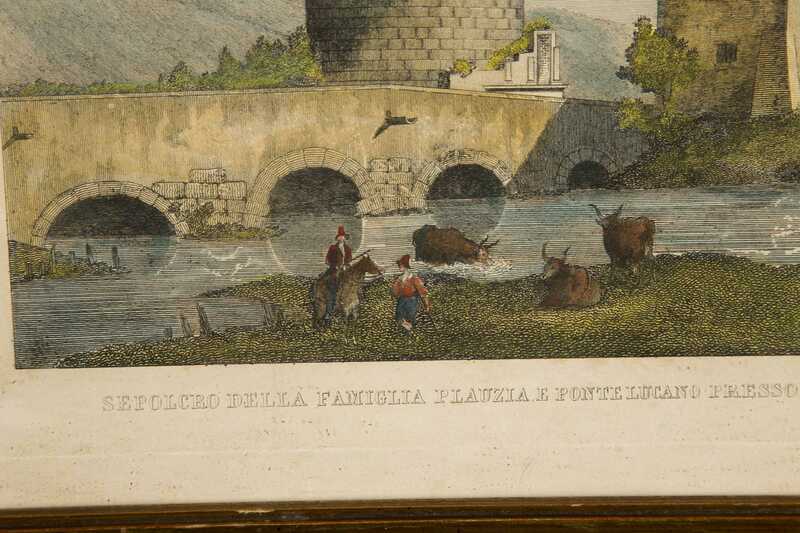 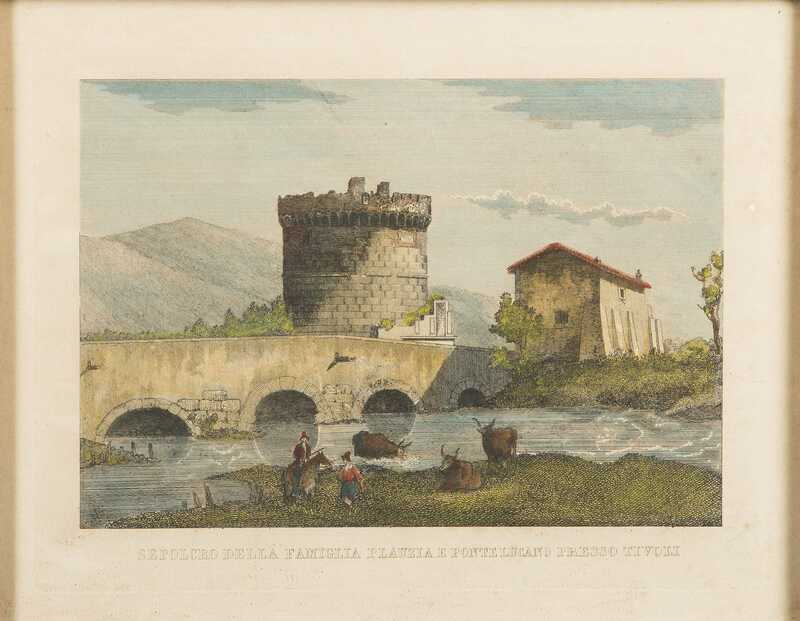 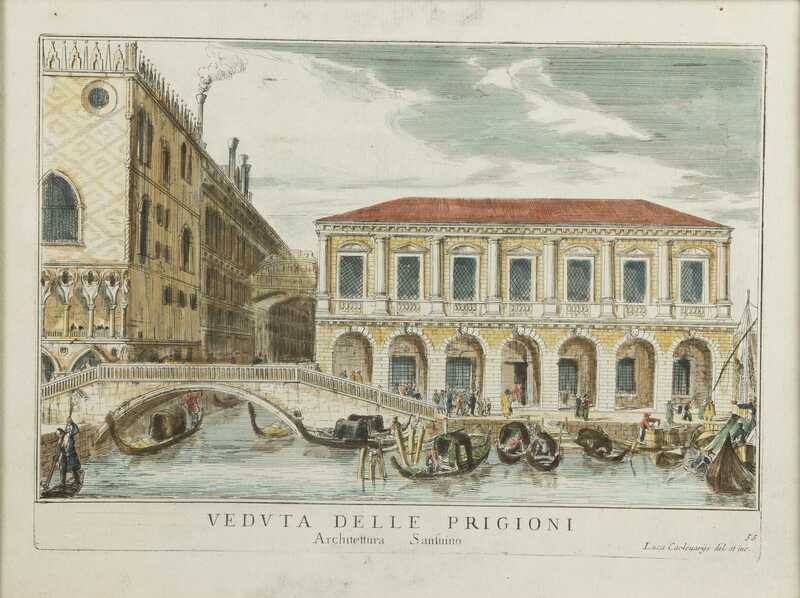 Lot of Six Continental Colored Prints, 19th/20thC, A) Pair of "Cottafavi, Views", 9" x 11 3/4" sight, framed under glass. 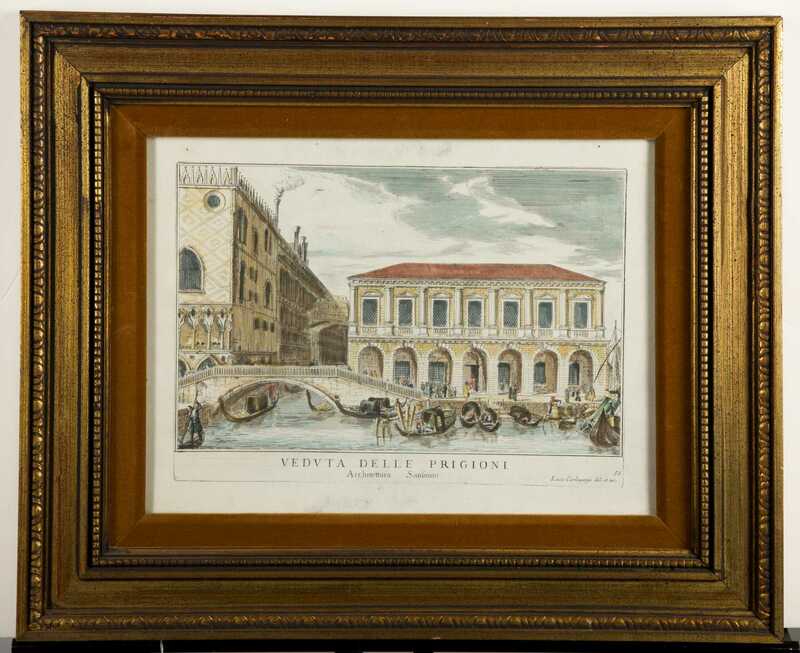 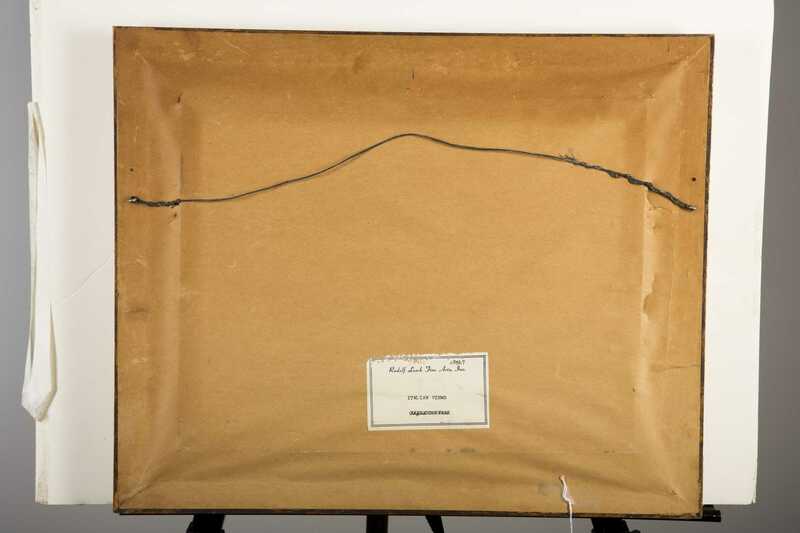 B) Pair of "Italian Views", 9 1/2" x 13" sight, framed under glass. 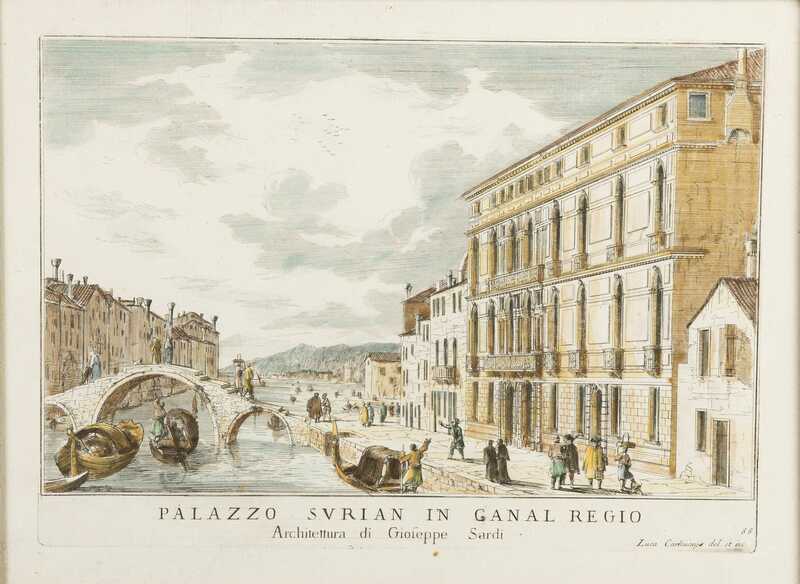 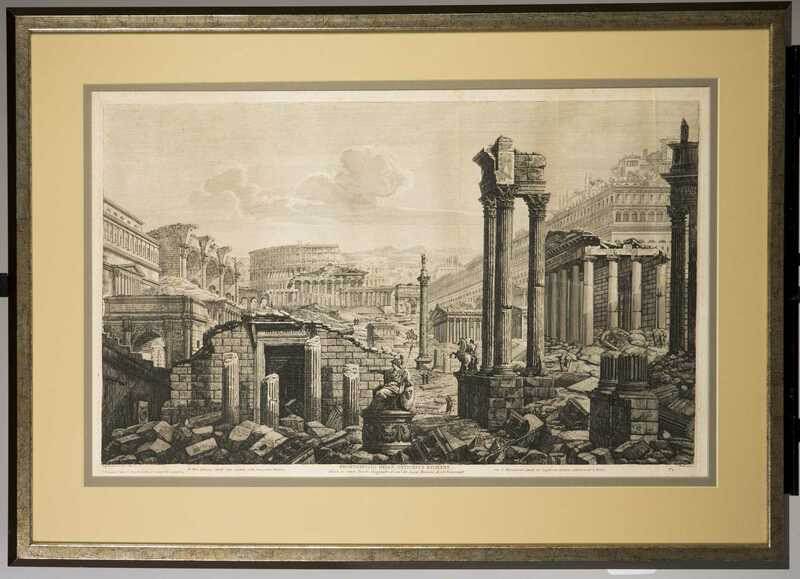 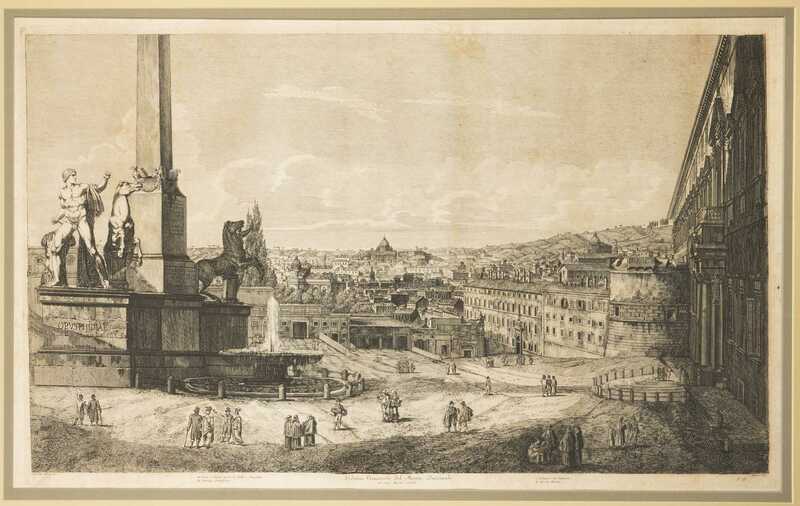 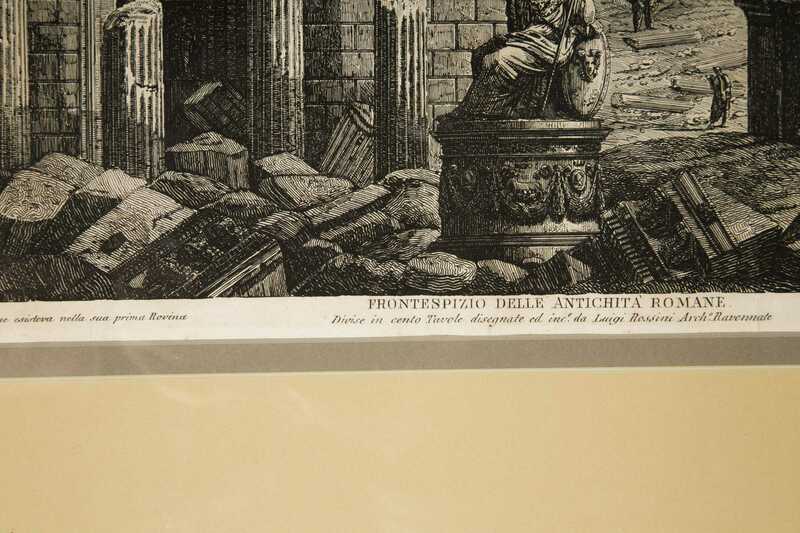 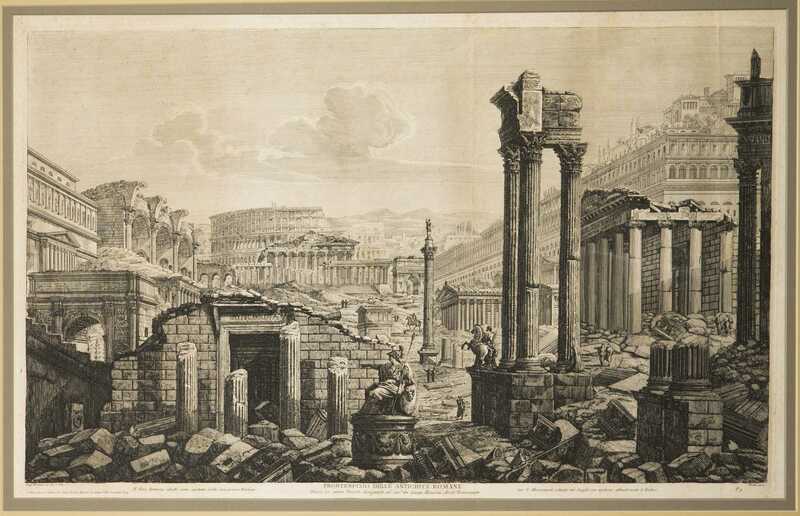 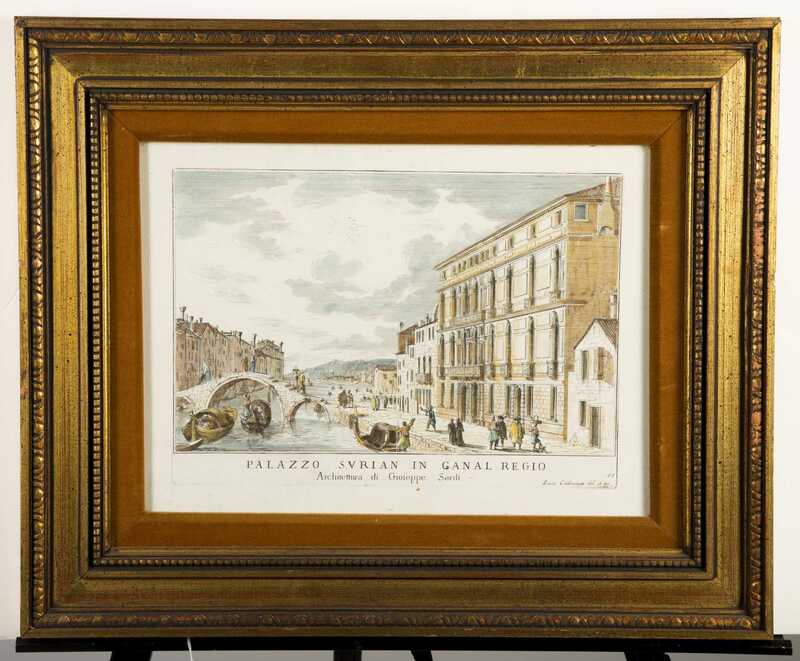 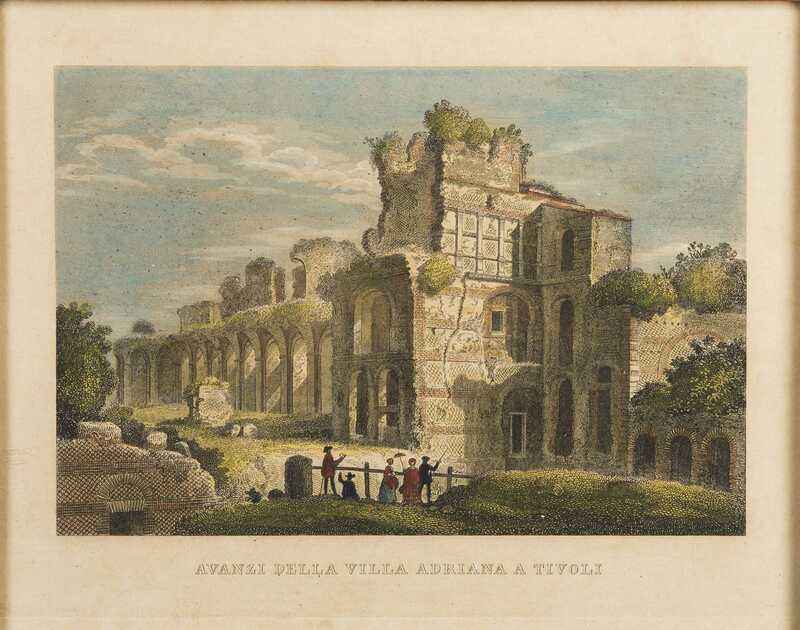 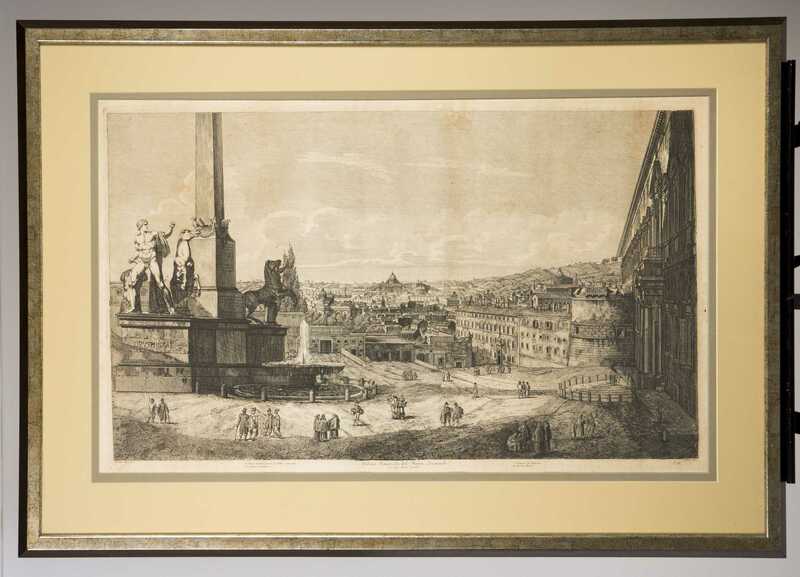 C) Pair of large "Ancient Roman Views", 17" x 27 1/4", matted and framed under glass.